but prefers open country for hunting. 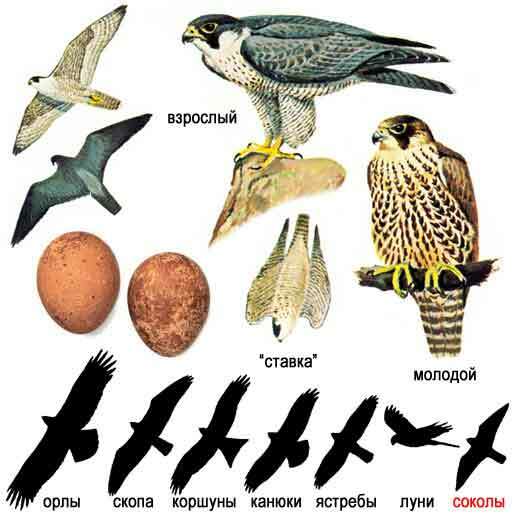 It feeds mainly on birds both small and medium-sized which it catches on the wing. 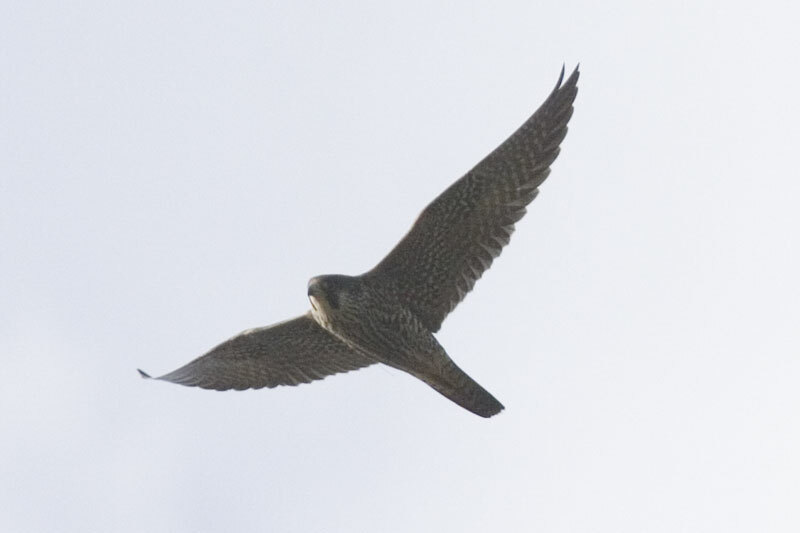 The Peregrine Falcon is extremely fast. broad-based "arms" and a medium-sized tail. 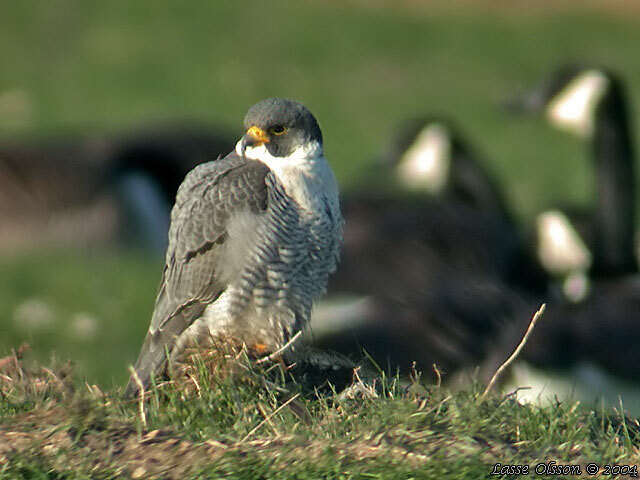 Adults have slate-grey upper parts with paler rump and delicately barred tail. speeds of 150 - 250 Km/h! Adults are dark grey above and barred black on white below. The female is larger than the male. 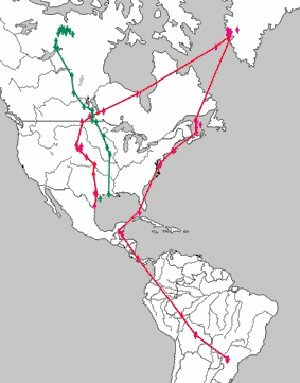 which is shown on the map below. 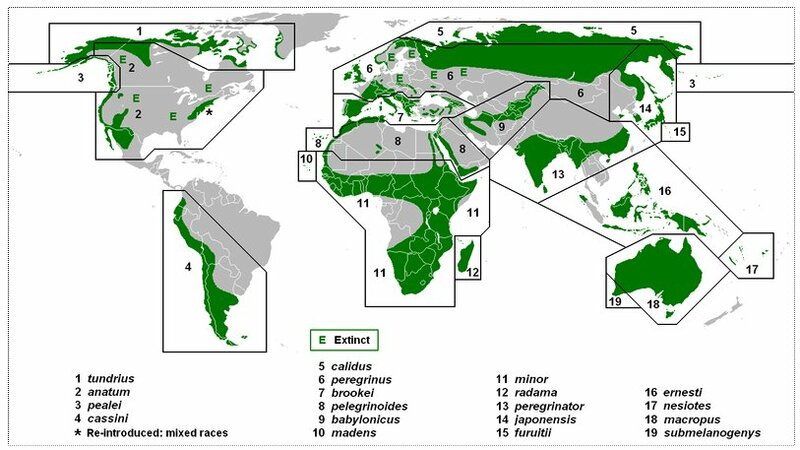 19 different species, spread all over the world. 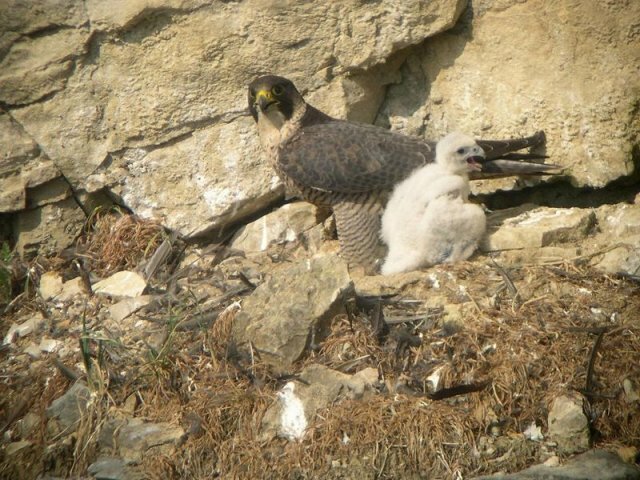 The Peregrine's breeding range includes land regions from the Arctic tundra to the Tropics. the only major ice-free landmass from which it is entirely absent is New Zealand. 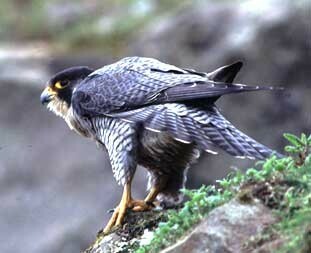 mean "wandering falcon", referring to the migratory habits of many northern populations.